Merry Christmas from all at GBA! We hope 2017 has been an interesting, productive and successful year for all, it certainly has been at Get Berkshire Active! 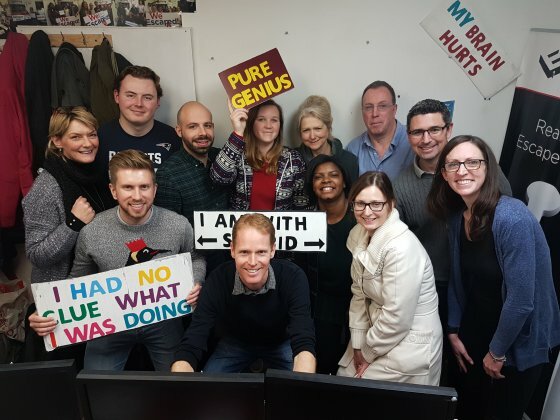 Rounding off with a Christmas Party event at Escape Reading - which had us all running against the clock! As we approach the holiday season, we'd like to thank all our networks, partners, colleagues and participants for their involvement and support throughout the year, which has enabled GBA to continue supporting the growth, education and importance of Sport and Physical Activity across Berkshire, continuing into 2018 and beyond! The GBA Awards evening will be held in February 2018 at the Hilton Hotel in Reading. These awards recognise Berkshire people that have excelled in a sport or physical activity setting throughout the last year, a celebration of the people and organisations that promote, volunteer, work, support and take part in all types of sport and physical activity within Berkshire. Congratulations to those shortlisted for an award, and a big thank you to everyone who took the time to submit nominations. It was a record breaking year with GBA receiving more than ever before! Click here to see the shortlist for the Get Berkshire Active Awards 2017. We have great pride in announcing that GBA have been assessed by Sport England as having fully met all the requirements to be a Tier 3 (highest) organisation in respect of the UK code of Sports Governance. We are one of only 2 organisations nationally to have been so far assessed as fully compliant. A huge congratulations and thanks to all at GBA who have contributed to this success! As part of Fit for Life Week Three Discovery will be running FREE digital workshops from 20th to 28th January 2018, to help promote healthy lifestyles. This is a great opportunity to learn how mobile phones / tablets can assist in personal fitness journeys! "At Discovery, we've opened our doors to the local community and created a space for anyone to come to explore, learn and enjoy their technology. With this is mind, we're delighted to be supporting Fit for Life week with free sessions every day that allow people to discover how their own devices can assist in their personal fitness journeys. We look forward to welcoming you." Gareth Scott - Discovery Partner Maidenhead. In total there are 27 workshops taking place, covering areas shown below. Keeping fit with colleagues through 2018! We are inviting you and your colleagues to take part in the 2018 Active Workplace Challenge, an 8-week national activity logging challenge from 8th January to 4th March 2018. Just adding small chunks of activity throughout the day can all add up; switching the lift for the stairs, walking to work, challenging the boss to a table tennis rally or taking part in a Midday Mile. So together let's make every minute count! Just go to www.workplacechallenge.org.uk to sign up, if you're already registered from previous years logging activity between the 8th of Jan and 4th of March will automatically make you part of this challenge. Spot prizes will be awarded throughout the challenge. Get thinking about taking your club to the next level! Check out the newly revised Club Improvement Tool, which has been which is designed to help you create a personalised improvement plan by assessing your club's strengths and weaknesses. The tool has a new look and feel, as well as incorporating all our new guidance on topics like Incorporation, Women and girls and Governance. It takes minutes to complete: answer a series of questions to create your plan, and there are links to support you and helpful resources at the end. There are many ways to boost our activity levels, and finding something suitable is easy via our website activity finder! Local activities are easy to find, be it alone, with friends or finding new networks. Take a look at GBA's activity finder on our homepage to seek local organisations and clubs in your area, and to find activities of your choice. Club or Organisation? You can easily add your activity to GBA's website, simply signup using the purple login button (top right hand side of screen). Once logged in, just click the orange "Add Club/Organisation" icon and go from there! 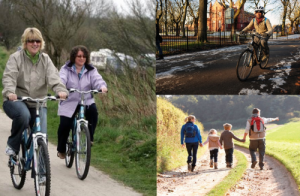 GET ACTIVE in Berkshire this Winter! Getting more people, more active, and enjoying the benefits of more and better sport and physical activity in Berkshire!